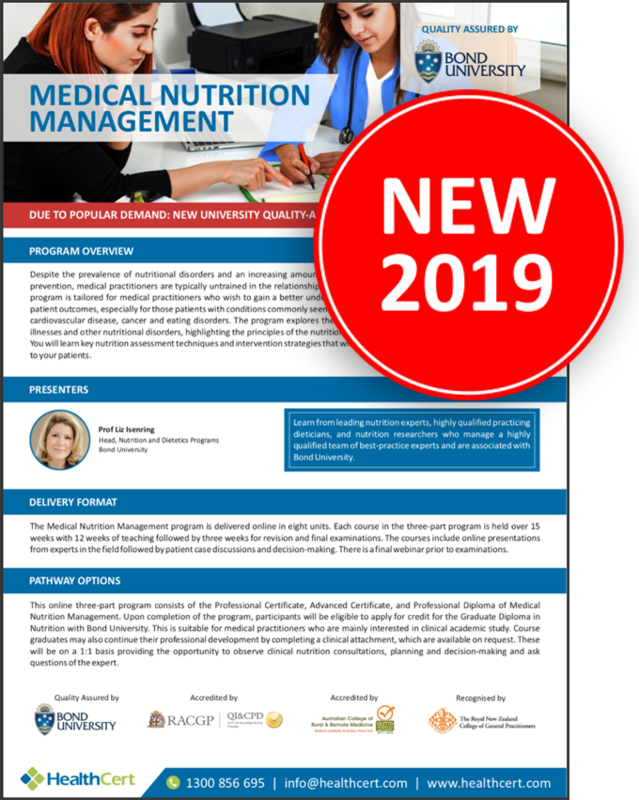 The Advanced Certificate of Medical Nutrition Management covers the role of therapeutic diets in the treatment of chronic illnesses and other nutritional disorders, highlighting the principles of the nutrition care process as applicable in a primary care setting. You will learn key nutrition assessment techniques and intervention strategies that will assist you in providing comprehensive health care to your patients. The course teaches how medical nutrition strategies can be implemented to improve patient outcomes in areas including pregnancy, diabetes, cancer, sport and cardiovascular nutrition. This course is the second part of the three-part Professional Diploma of Medical Nutrition Management. The education pathway is Professional Certificate of Medical Nutrition Management, Advanced Certificate of Medical Nutrition Management and Professional Diploma of Medical Nutrition Management. 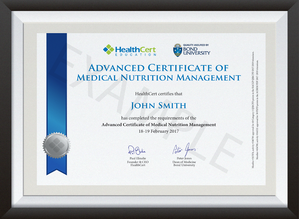 The Advanced Certificate of Medical Nutrition Management is tailored for medical practitioners who wish to gain a better understanding of nutrition management in order to improve patient outcomes, especially for those patients with conditions commonly seen in general practice, such as obesity, diabetes, pregnancy, cardiovascular disease, cancer and eating disorders. The course is suitable for general practitioners, degree-qualified nurses who work under their supervision and International Medical Graduates. Participants must have successfully completed the HealthCert Professional Certificate of Medical Nutrition Management course (or a qualification deemed equivalent). Your instructors are noted specialists in Medical Nutrition Management. 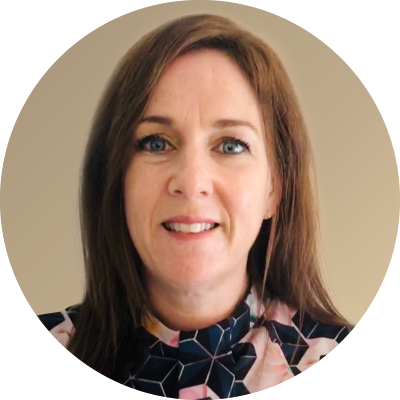 Professor Liz Isenring is an Advanced Accredited Practising Dietitian passionate about improving the quality of life of patients and their carers via evidence-based nutrition. 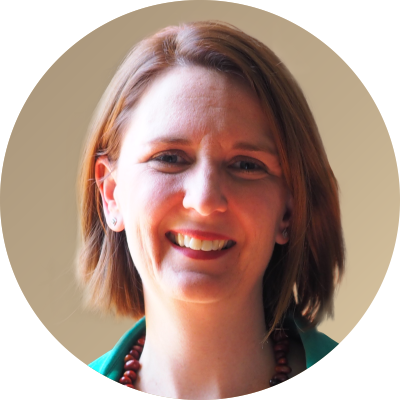 Liz is Head of Program for the Master of Nutrition and Dietetic Practice, and the Associate Dean of Research for the Faculty of Health Sciences and Medicine at Bond University. She is recognised internationally as an expert in nutrition during treatment for cancer and for older adults. 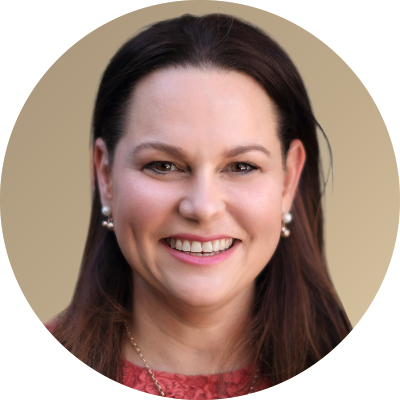 Liz has held several leadership positions including in AuSPEN, Dietitian Connection and MASCC, has published over 130 peer-reviewed papers and received more than $3 million AUS in research funding. Dr Heidi Staudacher is a dietitian and postdoctoral researcher at the Food and Mood Centre at Deakin University. Her chief research interests include the pathophysiology and dietary management of functional gastrointestinal and mental health disorders, and the interaction of diet with the microbiome in these disorders. Heidi was a NIHR Clinical Doctoral Fellow at King’s College London between 2012-2016 and during her PhD conducted a large randomised controlled trial investigating the effect of a low FODMAP diet with probiotic co-administration on the gastrointestinal microbiota, symptoms, dietary intake and quality of life. She has published several key papers in the field of dietary management of irritable bowel syndrome. Dr Ingrid Hickman is a Principal Research Fellow with the Department of Nutrition and Dietetics at the Princess Alexandra Hospital and the Mater Research Institute-UQ in Brisbane, Australia. 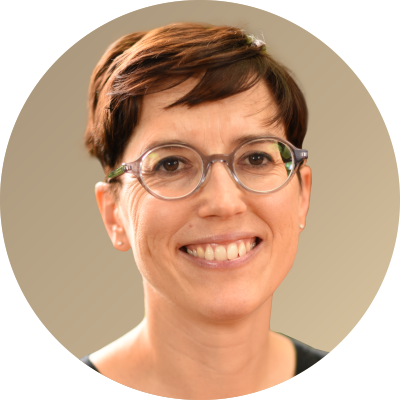 Ingrid’s work specialises in investigating the metabolic factors that contribute to obesity-related chronic disease, particularly the role of diet and exercise as potential treatment options for chronic liver disease. Ingrid collaborates nationally and internationally with multidisciplinary teams to deliver scientifically robust evidence for better management of obesity-related disease. The focus of her research team is to translate medical research findings into improved evidence-based practice for clinicians treating people with obesity-related chronic disease. 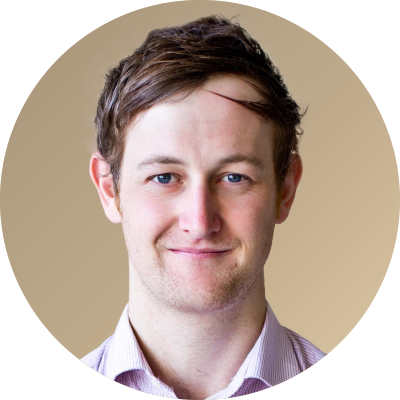 Dr Jaimon Kelly is an Accredited Practicing Dietitian and Senior Teaching Fellow at Bond University. 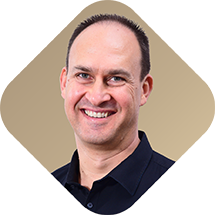 Jaimon works in private practice and consults primarily for chronic disease nutrition. 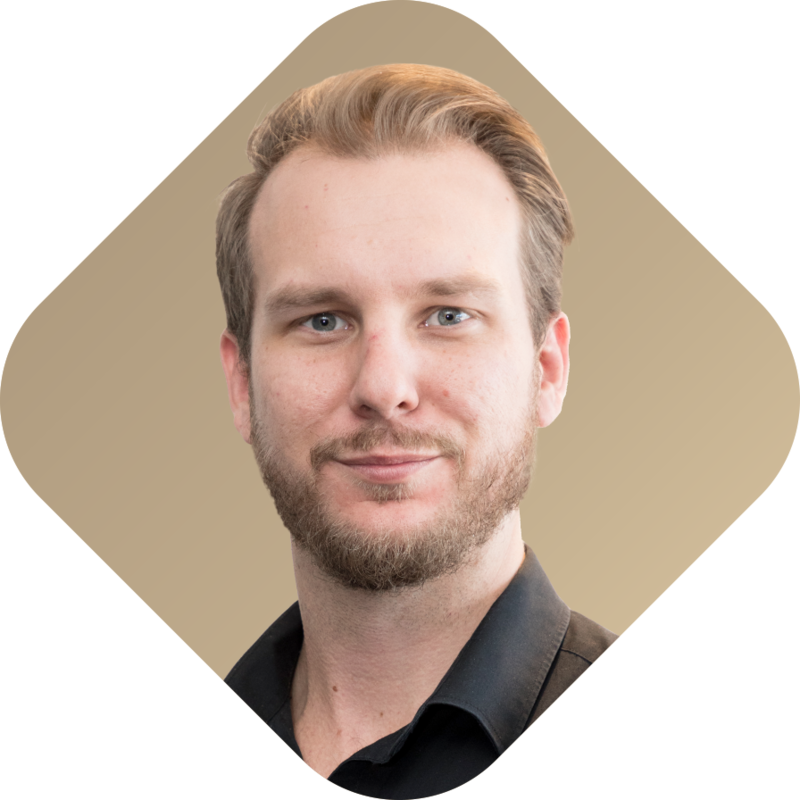 He is also an early career researcher passionate about improving patient-centred care in chronic disease, is an advocate for patient-engagement in both the clinical and research setting, and has a strong interest in exploring new ways to deliver dietary education to improve people’s dietary self-management. Kate Morgan has been an academic with Bond University since 2012. Her teaching with dietetics students has focused on food science and nutrition, and its application across dietetic practice. This has involved leading future dietitians on culinary investigations in the food lab as well as informative paddock-to-plate expeditions outside the university. Kate recently completed her PhD in dietetics education, taking a national approach to exploring key stakeholders’ perspectives on dietetics workforce preparation and preparedness. Through her PhD, Kate authored six peer-reviewed publications and presented the findings of her research at conferences both nationally and internationally. Prior to academia, Kate was a dietitian in the corporate sector. This involved working with multinational companies to enhance the nutritional profile of their products while maintaining palatability, meeting business needs and effectively communicating credible nutrition information to consumers. 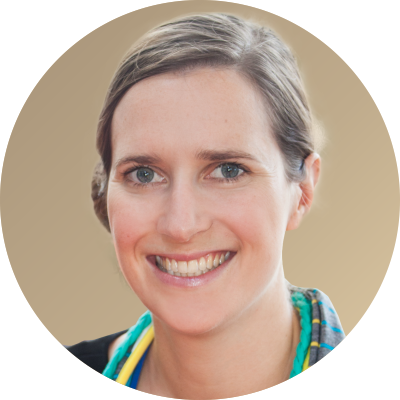 Kate has been an Accredited Practising Dietitian and member of the Dietitians Association of Australia since 2008. 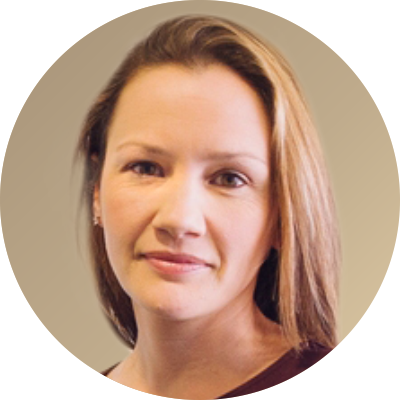 Kathryn Nolan is an Accredited Practising Dietitian with more than 20 years’ experience. She has worked in many cosmopolitan, rural and remote areas of Queensland, Australia. Her extensive experience includes both hospital and community positions for Queensland Health as well as a successful private practice within a general practice setting. More recently she became a Senior Teaching Fellow at Bond University. Lauren Ball’s vision is that all Australians are supported by a health care system that allows them to reach their full potential in life. 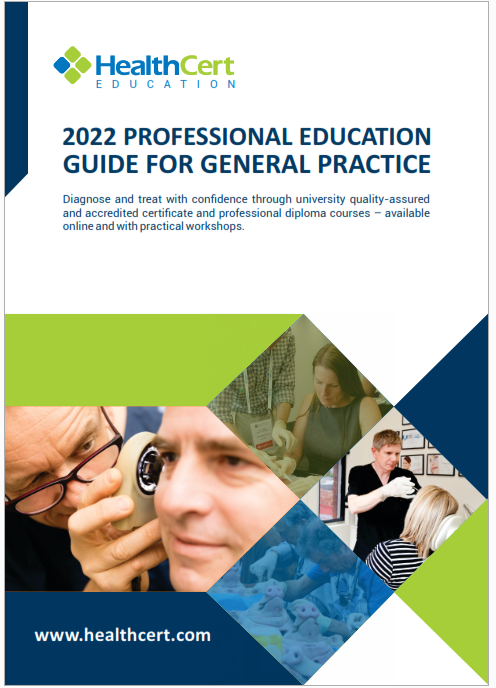 This will be achieved by making nutrition a prominent part of the ongoing care they receive in general practice – the first point of contact with the health care system. Lauren has worked with community members, health professionals, education providers and professional bodies to conduct research on how patients can be better supported in general practice to eat well. 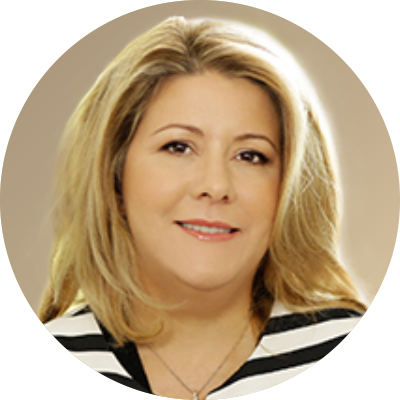 She implements interventions and programs so that general practitioners, nurses, dietitians, nutritionists, pharmacists and other health professionals feel confident in nutrition and have the skills to best meet patients' needs. She also works with Primary Health Networks to better understand how primary care services can be reoriented to put nutrition and other lifestyle behaviours at the forefront of the health care system. Lauren has published over 100 peer-reviewed scientific articles and attracted over $1 million in research funding from government bodies, non-government organisations and philanthropic foundations. She is a Senior Research Fellow at Griffith University and an NHMRC Early Career Fellow. She is also an Associate Editor for the Australian Journal of Primary Health and Executive Committee Member of the Australasian Association for Academics in Primary Care. 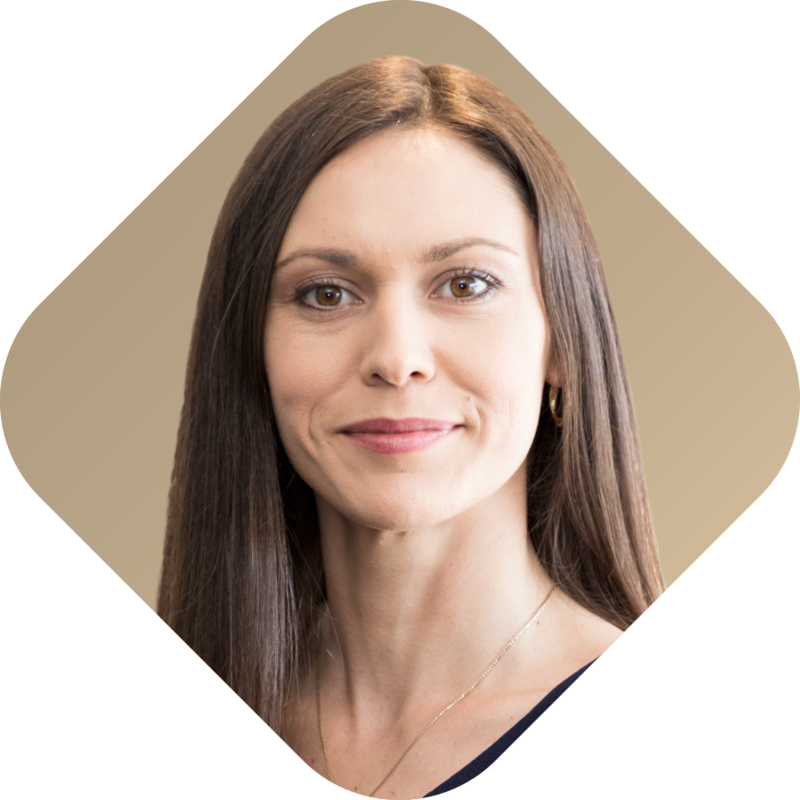 Tara Diversi is passionate about combining nutrition, psychology and communication to help clients make positive change to improve their health. She is an Accredited Practising Dietitian with two post graduate qualifications in psychology and an MBA majoring in marketing, which complement her dietetic qualifications. Tara works as a business, communication and leadership consultant with Health Leadership Australia. She is the co-founder of Sophus Nutrition, a platform that combines nutrition with behavioural economics and technology to bring dietetic care into homes of patients across the globe. There are eight units in a HealthCert professional diploma program. The course is delivered over 15 weeks with 12 weeks of teaching followed by three weeks for revision and final examinations. The course includes online presentations from experts in the field followed by patient case discussions and decision-making. There is a final webinar prior to examinations. 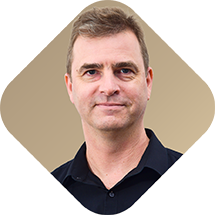 You will also receive valuable 12 months web-based support from the speakers and participate in regular online learning sessions with the opportunity to ask any questions you might have as you implement your learning. Upon successful completion of the exam, course participants will receive the Advanced Certificate of Medical Nutrition Management and 40 RACGP Category 1 QI&CPD points / 30 ACRRM PRPD points. This online three-part program consists of the Professional Certificate, Advanced Certificate, and Professional Diploma of Medical Nutrition Management. Upon completion of the program, participants will be eligible to apply for RPL for the Graduate Diploma in Nutrition with Bond University. This is suitable for medical practitioners who are mainly interested in clinical academic study. Course graduates may also continue their professional development by completing a clinical attachment, which are available on request. These will be on a 1:1 basis providing the opportunity to observe clinical nutrition consultation, planning and decision-making and ask questions of the expert. Optional clinical attachments are available on request. These will be on a 1:1 basis providing the opportunity to observe clinical nutrition consultation, planning and decision-making and ask questions of the expert. Clinical attachments are available in Australia. This pathway is suitable for medical practitioners who are mainly interested in clinical academic study. The Graduate Diploma in Nutrition is studied through Bond University. Medical professionals who successfully complete the HealthCert Professional Certificate, Advanced Certificate and Professional Diploma of Medical Nutrition Management will be eligible to apply for RPL for the Bond University Graduate Diploma. RPL will be granted for NUTR71-105 Nutrition and Chronic Disease Management. Learn more. A pathway leading to a Graduate Diploma in Obesity and Weight Management with an online provider in the UK is currently under discussion.